Ultra-performance NAS optimized for intensive tasks, encryption and instant disaster recovery With its fire/water protection, superior performance, scalability, resilience, and comprehensive features, ioSafe® NAS 1515+ is the ideal storage solution for your growing business. 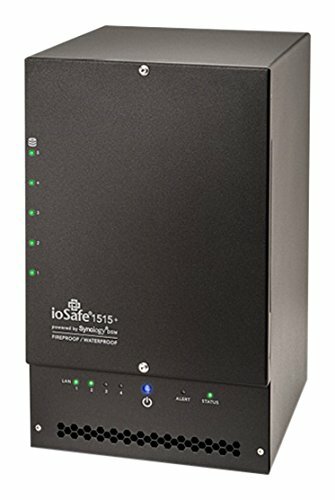 Featuring a quad-core processor, hardware encryption engine, and flawless software integration, the ioSafe 1515+ is a powerful, expandable 5-bay NAS server that delivers outstanding speed and accelerated data encryption. The 1515+ can help to simplify disaster recovery, business continuity, data management, sharing storage for storage and backup - with minimal setup and the freedom to expand capacity at any time.